skinflint: Yours is a brand with real history. 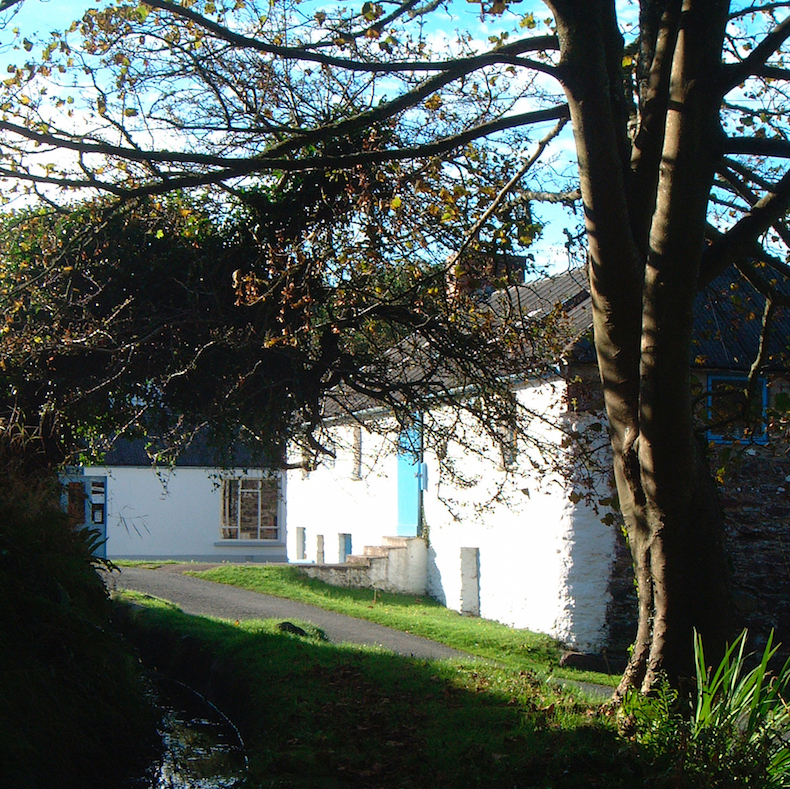 Melin Tregwynt is now onto its third generation and was started over a hundred years ago. What’s changed? Eifion Griffiths: In some ways – not a lot. If my father, or even my grandfather were to walk into the mill today they’d immediately recognise what was going on. The machinery may be more advanced, but the basic process of warping and weaving remains unchanged. The building too, remains very similar. My grandfather extended the original stone, whitewashed mill in the 1930s and we’re still using the same building today. There’s a new roof and we’ve recently replaced the original Crittall windows with exact copies and refurbished the old water wheel, but it’s essentially the same. Later additions (millshop and office), made by my father are also still in use. Our contribution has been new car parks and a new café, that have opened this summer. On the other hand, if either of them were to walk into the office, they would not recognise it. The design, accounts, communication and marketing side of our business (of any business), has changed out of all recognition. This is to our advantage, as we’re based in West Wales and the internet, most specifically, social media, has opened up new markets and ways of reaching out. skinflint: What’s it like to run a family business? And how will future generations be involved? 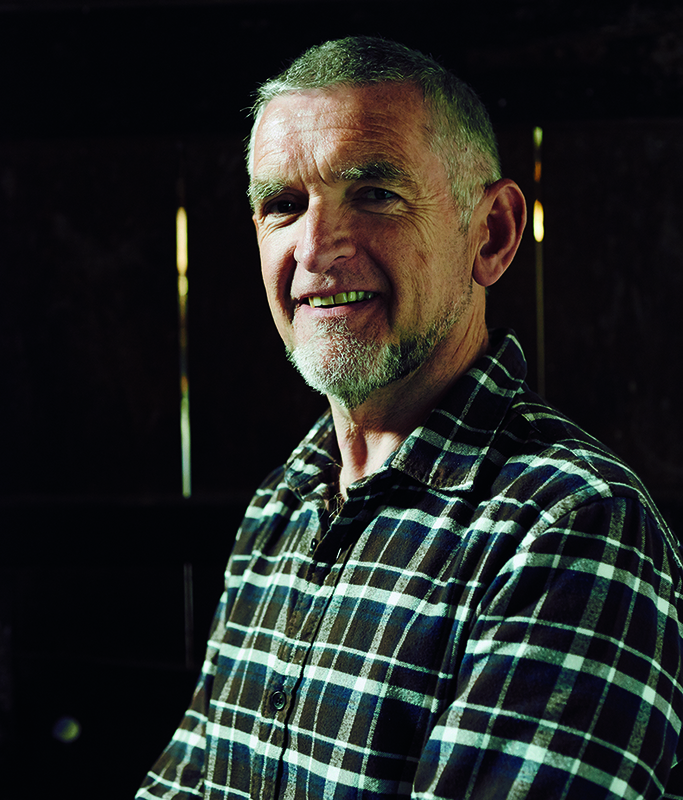 Eifion: Being a family company gives us a heightened awareness of our own history and tradition. We see the products as a continuation – and each generation has reinvented the tradition to suit its market. Originally, I trained as an architect and my parents had assumed that I wouldn’t be coming back to the business. Eventually, I decided that as the only child I should give it a go, and almost immediately I was hooked. I was very lucky. I enjoyed the design and marketing side and my father was more interested in the financial aspects of the business. We each had our own area of interest and so we didn’t clash, as many families might do. Today, my wife and I are directors and both work in the business full-time. We don’t have children, but we both want to see the business continue to grow and develop, so we are developing a strategy for succession. This is seen as an important issue for many businesses in Wales so there’s a lot of help and advice available. 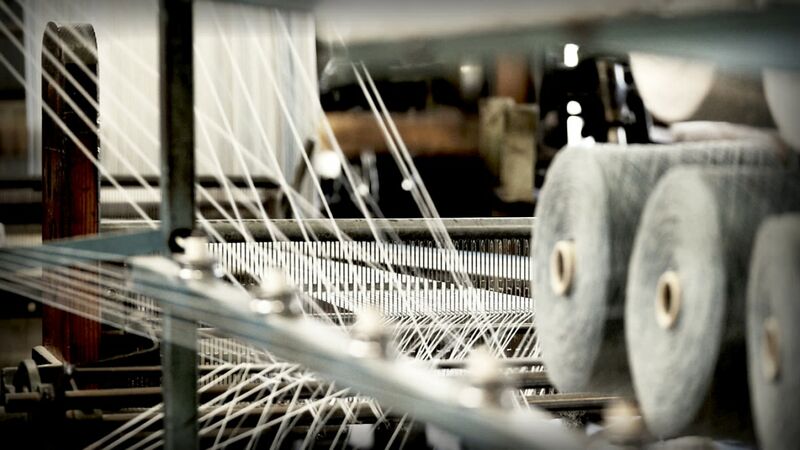 skinflint: Everything you make is woven in Wales. How important is it to you to keep production within Wales? Eifion: It’s very important and an integral part of our brand. Our tagline is “Woven in Wales”. 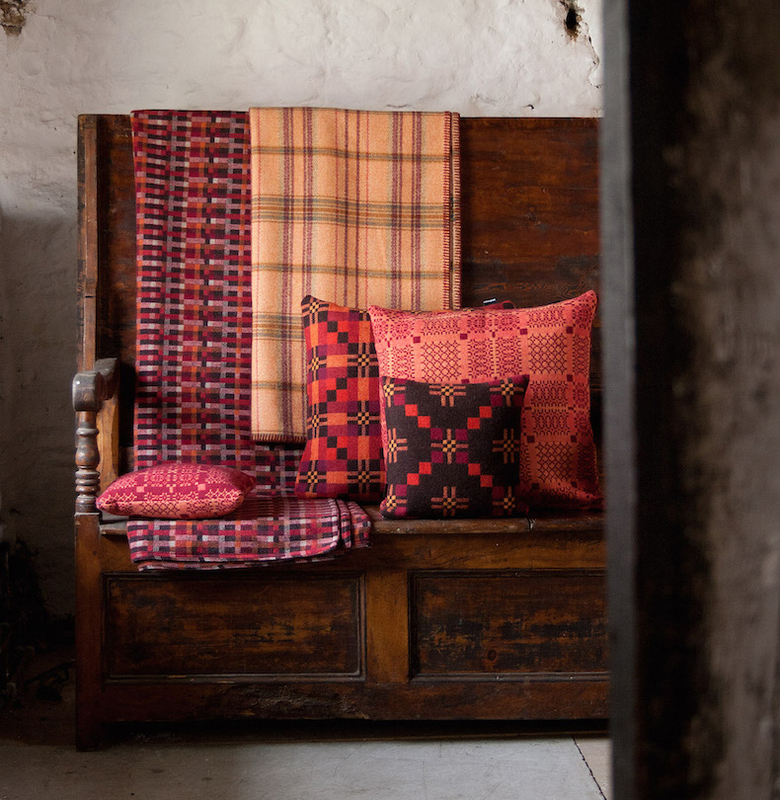 Twenty years ago, we didn’t emphasise the traditional Welsh roots of our fabrics. We sold our work on its appearance and design. These days, we find that the authenticity and the story behind the company are equally important. We currently employ over 30 people here in West Wales and I want this to continue. skinflint: Tell us about the mill? It must be incredible to work in a building with such a rich history? Eifion: In some ways, we all take it for granted. It’s a lovely building and dates from the 18th century, but it has its disadvantages. It’s even supposed to have a ghost! Today the original whitewashed mill itself is mostly used for storage. We refurbished the mill wheel in 2014 and we’ve now turned the upstairs into a gallery space. Actual production takes place in the weaving shed that my grandfather added on the back in the 1930s. Up until last year, the winds used to whistle through the original Crittall windows, but we’ve replaced these and also installed a new roof. During the refurbishment of the old mill, there were lots of interesting finds. In addition to clay pipes tucked into the eaves (obviously before health and safety/fire regs), we found tickets to performances by the local dramatic society (from the 19th century) and an actual cannonball. I’m fairly certain that we were never the site of a battle so it must have had some purpose although I’m not quite sure what! skinflint: Who’s in charge of design and how do you come up with your beautiful, intricate patterns? Eifion: Our in-house designer is Sophia, who came to us originally on a placement from college. She trained as a graphic artist but fell in love with textiles. Many of our current patterns are based on original vintage designs but we also create new designs using the traditional double-cloth “tapestry” technique. 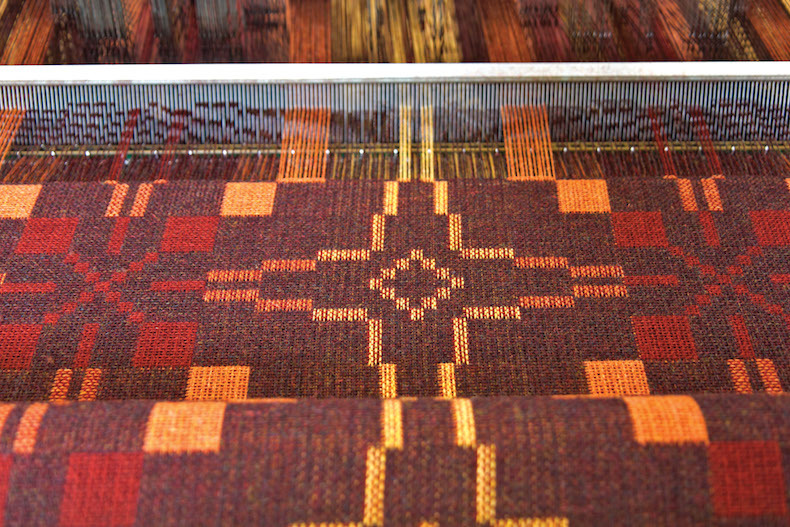 This means that our work has a mid-century, graphic quality that comes from the limitations of the weaving itself. The designs and the weave structure are inextricably linked. This gives the fabrics an authenticity and uniqueness that contrasts with today’s techniques like digital printing where you can apply any graphic to any product. skinflint: How has weaving fabric changed over the years? Do you embrace new technology or is the old way the best way? 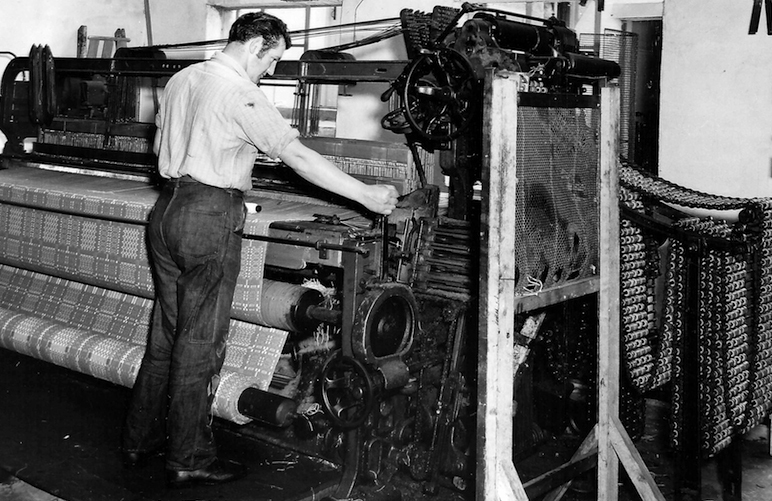 Eifion: The machinery may be more advanced but the basic process of warping and weaving remains unchanged. We use traditional techniques, but try to create products suitable for a modern market. If this means using some new technology, we’re happy to do this; but we also want to keep the old traditional skills alive. We’re always willing to push the boundaries of process, technique and material but ultimately we’re looking for a combination of tradition and modern technology that creates something unique to us. 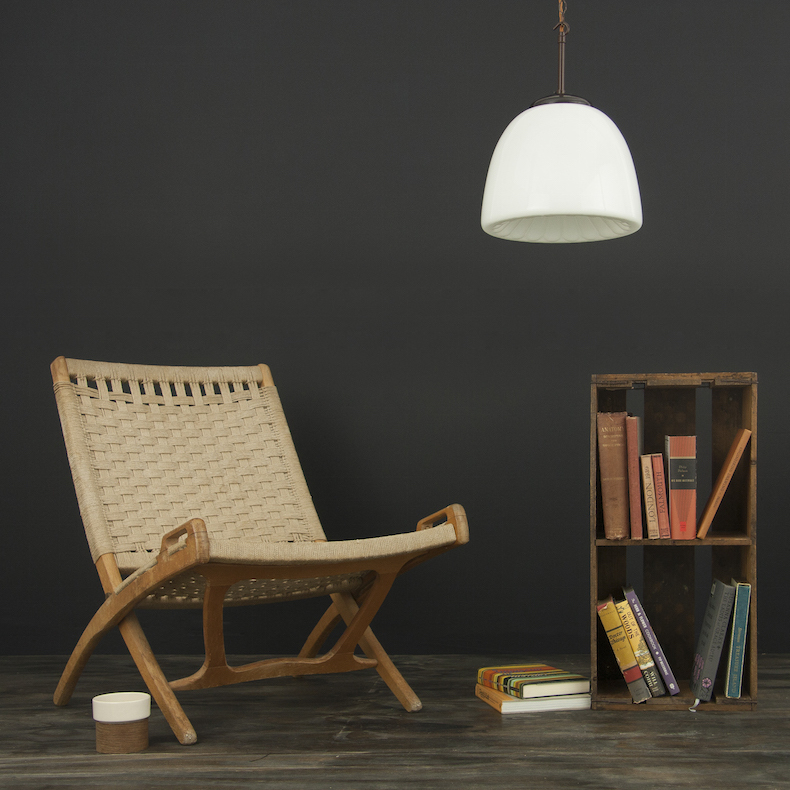 skinflint: How do trends affect your collections? And how do you keep abreast of them? Eifion: Because we use traditional skills we’re aware the mill could become almost a museum, without any relevance to the current market, so we are very keen to follow modern trends where we can. It’s not always possible to introduce the latest technology when you’re weaving blankets, but we do try and stay aware of current colour trends and also of the fast-changing online retail and social media. skinflint: You have participated in some interesting collaborations, from a space suit this summer to back-packs- do you actively seek out these collaborative works and how do they inform your design process? Eifion: We’ve always been willing to try something new. We enjoy the opportunity to collaborate with other companies as it often leads us into new areas. It also helps if you don’t always fully understand or respect your own limitations. We’ve sometimes taken on projects, that in hindsight we should have turned down, but they have all helped us grow as a company and get new skills. One of my personal favourites was the giant 40m square picnic blanket we did for a Waitrose advert. We all worked hard together with our suppliers to finish on time and everything came together, so it was a success. I also loved the fact that after the advert had been filmed in South Africa. 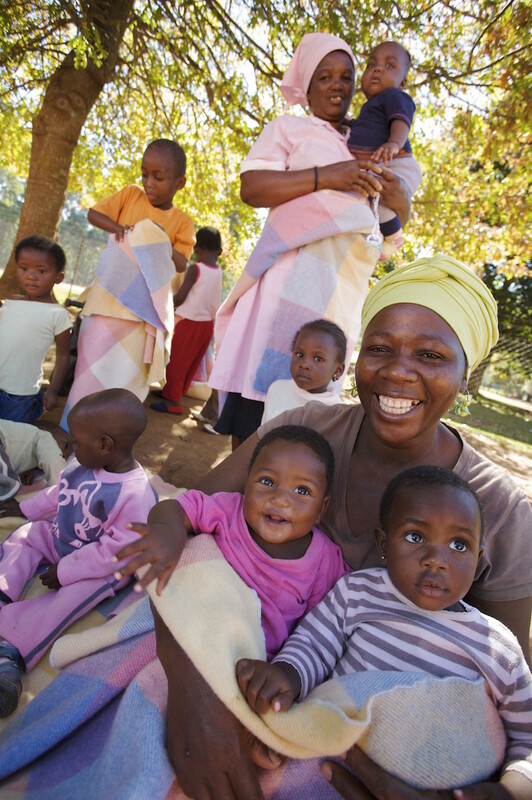 Waitrose cut the blanket up and sent smaller blankets to orphanages all over Africa. We have some lovely pictures of the babies wrapped up in our fabrics. A lovely project! skinflint: Why Welsh wool in particular, what is special about your local yarn? The tradition of weaving in Wales goes right back to the middle ages, our hills and lowland pastures make for great sheep country and fast running streams, provided the power needed in the pre-industrial age. In the early 20th-century, most small, rural mills worked with their local farming communities, processing the raw fleeces, carding and spinning yarn for weaving and knitting and also weaving fabric for everyday clothing (tweed/flannel) or weaving blankets, rugs and the signature Carthenni double weaves for household use. Sadly, the link to local farms was broken in the 1950s when the British Wool Marketing Board began to buy all the wool centrally, so it was no longer possible to buy specifically local or Welsh yarn. As wool was now sorted on quality, most Welsh yarn found itself blended into woollen carpet yarns. Today in a global market wool is sourced worldwide and much of the softer lambswool we use comes from Australia or New Zealand. So, we're delighted that after several years of hard work, the Cambrian Wool initiative has begun to reverse this trend. Cambrian Mountains Wool CIC is a Community Interest Company established in 2016, in order to purchase and process wool produced on the farms in the Cambrian Mountains region of Wales, for commercial use. As partners in this project, we're involved in the first steps of a new venture, that will see commercial production of fabrics that are designed and woven in Wales, out of Welsh yarn.......so watch this space!!!! skinflint: What is so special about Welsh tapestry weaving? Eifion: ‘Tapestry’ is the name used to describe Welsh double-cloth; two layers of fabric are woven, one above the other, interchanging at points, forming ‘pockets’, and enabling bold areas of pattern to be created. Historically, a strong 2-ply yarn was used to weave these fabrics and this, combined with the double-cloth structure, produced a practical and hard-wearing fabric, suitable for use as bedcovers. These quilts were woven on handlooms in the 18th-century, and it was around the 1920s that mills in West and South Wales began weaving similar patterns on power looms. The Tapestry quilt is now seen as an iconic Welsh product. Each Welsh mill developed their own double-cloth or Tapestry patterns, which made them identifiable by a manufacturer. Originally, woven as bedcovers in bold and large-scale designs, the same double-cloth structure was also, later used to develop smaller-scale patterns suitable for garments and accessories. Although ‘Tapestry’ cloth is seen as being typically Welsh, similar patterns using the double-cloth structure have been found in woven fabrics from all over the world. skinflint: Loom weaving is an ancient technique, but having recently read a book about Ada Lovelace and the advent of computers, I’ve learned that weaving has been at the cutting edge of technology too - how do new technologies affect the processes you use in your weaving? Eifion: The fundamental process of weaving has remained unchanged, but various parts of the process have been updated, and the choice of yarns available has widened. Looms were thought of as the first computers, because, although the earliest fabrics were handwoven the patterns were created on a binary principle (like computers), where each loom shaft was either “up” or “down”. This simple arrangement is capable of creating the most complex patterns, depending on how many shafts are used. The standard Welsh double-cloth uses 16 shafts, but you can use lots more. Our looms are Somet rapier looms which don’t have the traditional shuttles flying back and forth. They are faster than the old Hattersley shuttle looms (made in Yorkshire) and are made in Italy. Ours are controlled by computer and by punched rolls (like the old piano rolls) which we create here at the mill. The new technologies developed haven’t changed the basic process, but they have made it quicker, cleaner and more sustainable. Both yarn and finishing processes have developed to face the challenges in today’s markets. skinflint: What’s coming up for Melin Tregwynt in 2018? Eifion: We’ve had an exciting last few years with lots of projects in the pipeline. 2018 is no different. We’ve been chosen by Muji as a supplier to their new concept store FoundMUJI (currently only in Japan, Hong Kong and China) and we also plan to launch two completely new product lines. 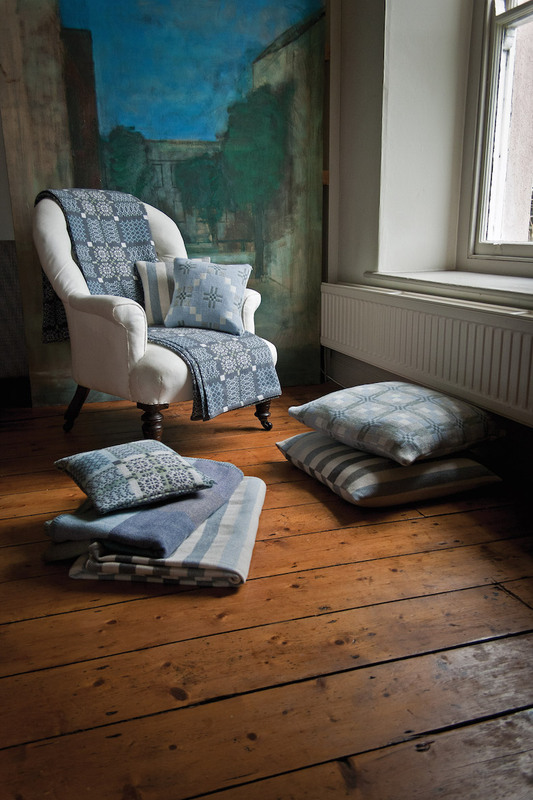 The mill is now currently working with Cambrian Mountains Company on a range of cloths, woven with all welsh wool. These will be launched early next year and we’re also developing a new range of contract upholstery fabrics to launch in early 2018. This range has been developed for a specific client and a very high profile project, but we can’t really give you any details as yet! skinflint: Do you personally have any favourite designs from the collection? Why are they your favourites? Eifion: I still like Madison, one of the first double-cloth designs we re-introduced in the late 90s. 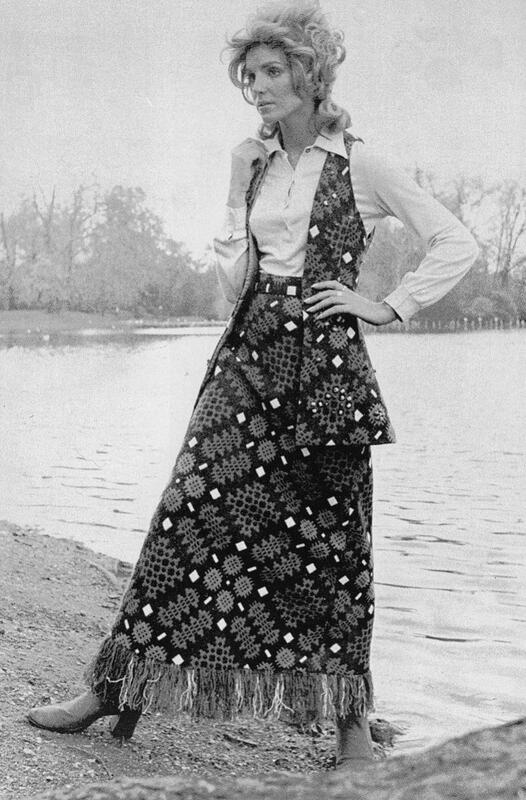 It was based on an old Maxi skirt that my mother used to wear in the 70s. She was going to throw it out but I caught a glimpse of it and stopped her. We brought it back into production 20 years ago and it’s still selling today. I love a range of tufted blankets we produced many years ago (we found a British company which could apply tufted wool designs - with needles - on to our woven blankets). We produced a fabulous range but we couldn’t continue to make it because the company we used decided to move their tufting process overseas. In many ways, it was symbolic of the harm that was done to British manufacturing by the drive to outsource all production abroad. I’m so pleased that we are now bringing much of it back, but, in the meantime, many skills and opportunities have been lost. Finally, I love our new range of contract, quality, woollen upholstery (to be launched in 2018), where we’ve used the double-cloth “tapestry” technique to create something completely modern and suitable for today’s more relaxed office interiors. Eifion: My wife Amanda, my dogs Molly, Martha and Daisy and my road bike. Working together, they keep me grounded, healthy and reasonably active. Finally, please pick three of your favourite skinflint lights and tell us why you like them. I’m a great fan of the Salvaged Eastern Bloc lighting, where the shades are constructed from a form of Bakelight. This has a beautiful mottled brown surface, which is amazing! I also like the Decorative opaline Czech pendants (which also use Bakelite). There seems to be a Bakelite theme developing, but what I particularly like about these is the elegance of the design and the shell-like interior hidden away inside a deceptively simple, almost reticent, opaline glass shape. 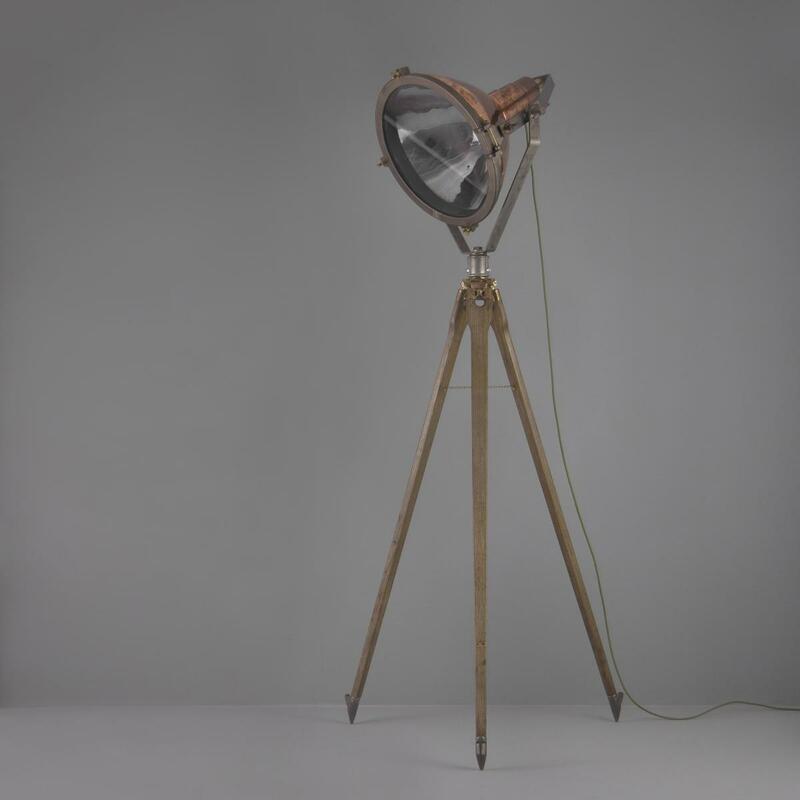 Finally, I absolutely love the Vintage 1940s Copper Searchlight. 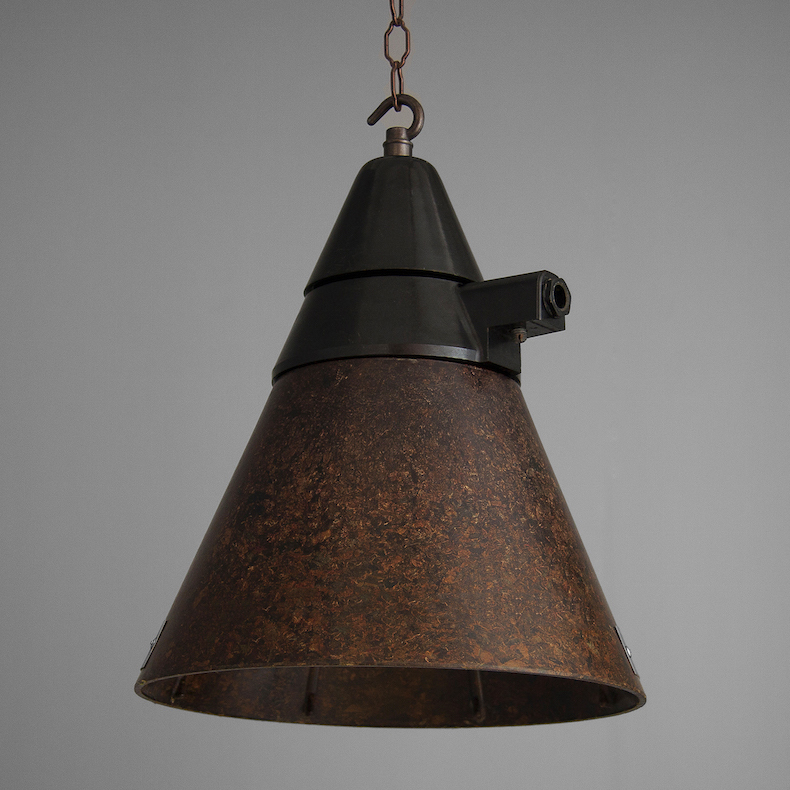 A large lantern with a lacquered steel bezel, brass detailing and brackets mounted to a British WW2 military observation oak tripod that also features bronze detailing. There’s something “steampunk” about this wild and wonderful mix-up of different materials, all of them combining to form this unique lamp.